In honor of Election Day, here are a few restaurant freebies and deals you may want to take advantage of after casting your vote! And…Happy Voting! Free Pizza at Chuck E. Cheese! On November 8th, Chuck E. Cheese is offering up a Free personal pepperoni pizza with ANY pizza purchase! Just use coupon code #5253 on November 8th or let them know at the register that you voted to score this deal. Go here for more details. Grab a Free Doughnut at Krispy Kreme! Sip on a Free Drink at Firehouse Subs! Firehouse Subs is offering up a FREE medium drink whenever you wear your “I Voted” sticker at participating locations on Tuesday, November 8th. Marco’s Pizza is offering up a voucher for a FREE medium 1-topping pizza to customers who vote for Marco’s Pizza on November 8th. 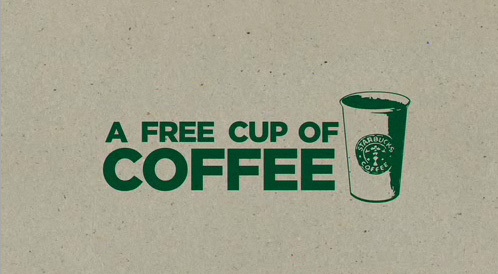 Starbucks is offering a free tall coffee to anyone who proves they voted or pledges to vote on Election Day.